Don’t want to or can’t install your new sod yourself? 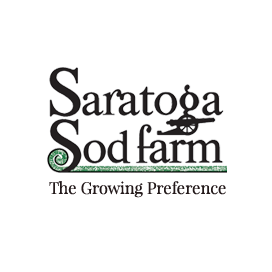 Contact a local landscaper or let Saratoga Sod help! Using experienced installers and specialized equipment, Saratoga Sod is able to offer a sod installation package as a cost effective, professional alternative. Sod installation is available throughout the April-December season. We will work with you to select the appropriate sod type and determine site readiness.